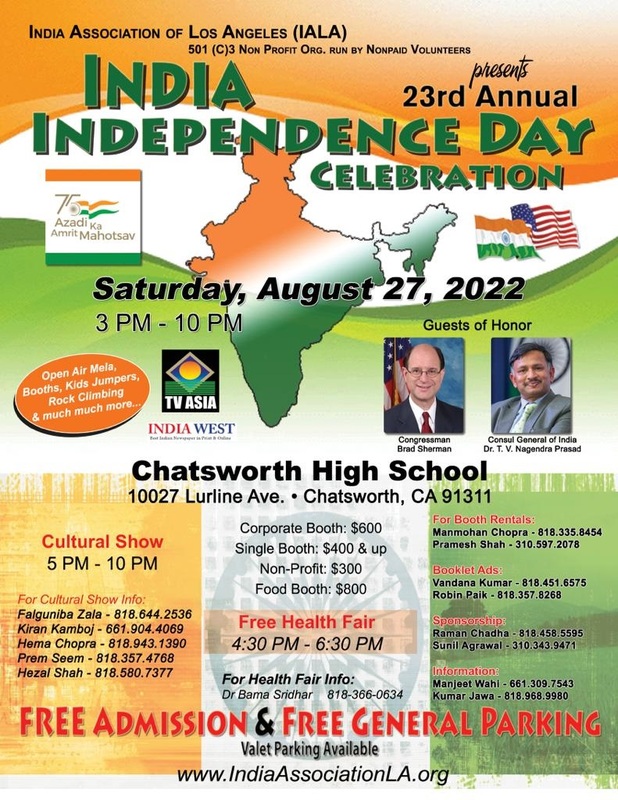 IALA is committed to bring best India Independence Day and India Republic Day celebration every year in the San Fernando Valley. This grand Event will featur colorful cultural performances, Dances, songs, free health fair, 70 Booths, Jumper for kids etc. For more information please call 310-343-9471 or 310-597-2078. For further information about IALA's upcoming event, please contact Ialasfv@gmail.com or call 818-600-1495.